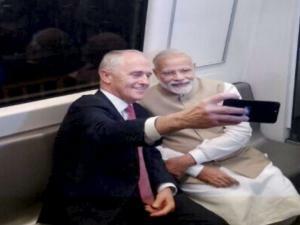 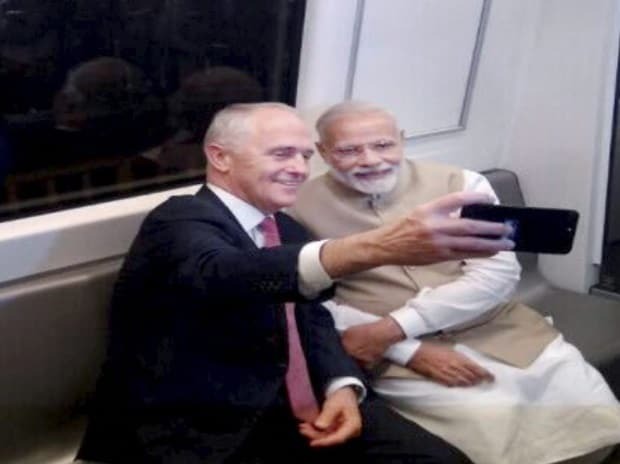 Australian Prime Minister Malcolm Turnbull takes selfie along with Indian counterpart Narerndra Modi while travelling in Metro train in New Delhi on Monday. 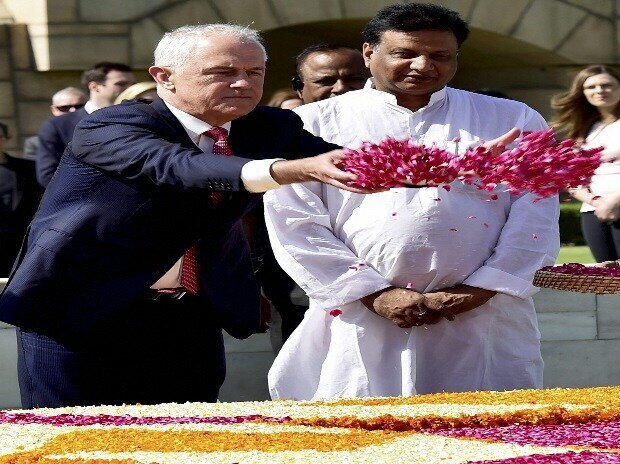 Australian Prime Minister Malcolm Turnbull sprinkles rose petals at Rajghat in New Delhi on Monday. 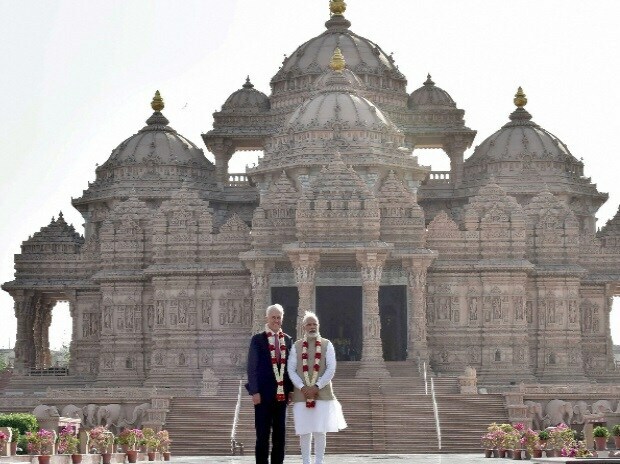 Prime Minister Narendra Modi and his Australian counterpart Malcolm Turnbull at the Akshardham Temple in New Delhi on Monday. 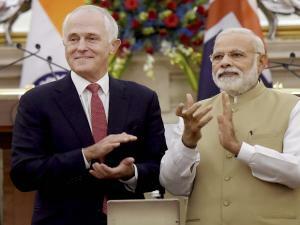 Prime Minister Narendra Modi with his Australian counterpart Malcolm Turnbull after inaugurating a Nano-biotech Centre (Gurgaon, Haryana) at Hyderabad House in New Delhi on Monday. 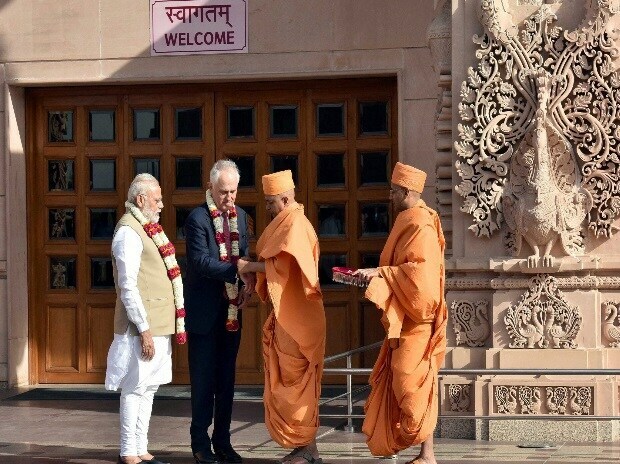 Prime Minister Narendra Modi and his Australian counterpart Malcolm Turnbull being given a traditional welcome on their visit to the Akshardham Temple in New Delhi on Monday. 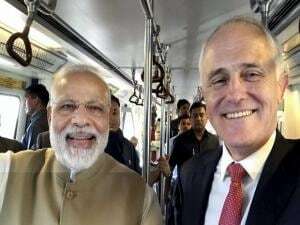 Prime Minister Narerndra Modi along with his Australian counterpart Malcolm Turnbull travel in Metro train in New Delhi on Monday. 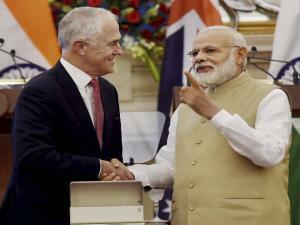 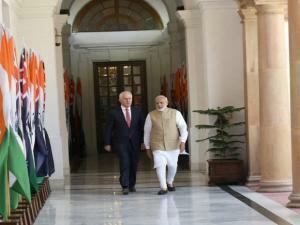 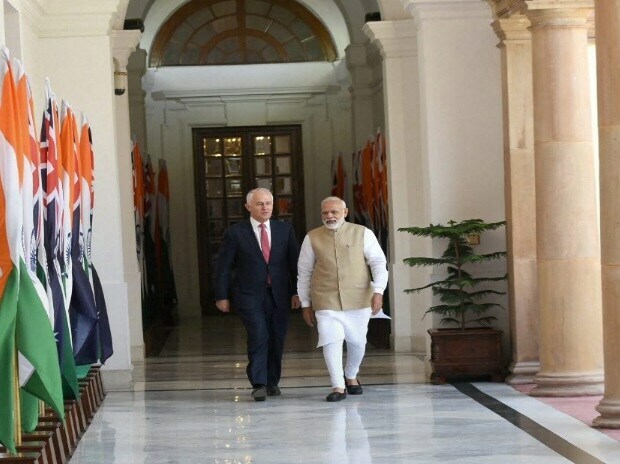 Prime Minister Narendra Modi with his Australian counterpart Malcolm Turnbull before meeting at Hyderabad House in New Delhi on Monday.